The National Bureau of Statistics (NBS) said the total value of capital importation into Nigeria stood at 16.81 billion dollars in 2018 compared to 12.22 billion dollars capital imported in 2017. The bureau said the figures represented 37.49 per cent growth year-on-year. 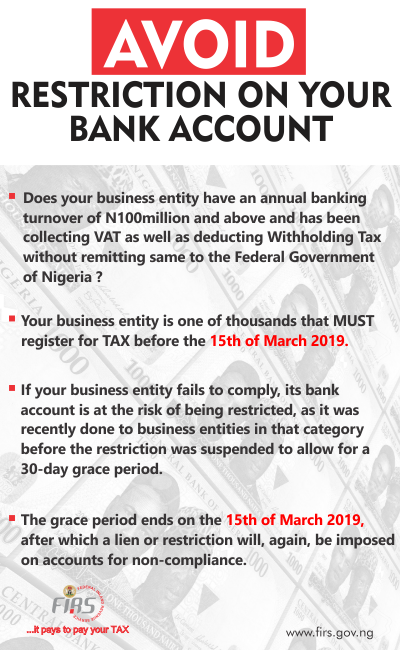 The NBS disclosed this in Nigerian Capital Importation for Fourth Quarter and Full Year, 2018 report posted on its website. Meanwhile, the bureau said Nigeria recorded a decline in the total value of capital importation into the country in the fourth quarter, 2018 which stood at 2.14 billion dollars. According to the report, the total capital value represents a decrease of 25.05 per cent compared to third quarter, 2018 and 60.24 per cent decrease compared to the fourth quarter of 2017. Capital Importation can be divided into three main investment types: Foreign Direct Investments (FDIs), Portfolio Investments and Other Investments. The largest amount of capital importation by type was received through Portfolio investments, which accounted for 70.20 per cent (11.80 billion dollar) of total capital importation. This was followed by Other Investments, which accounted for 22.69 per cent (3.81 billion dollars) of total capital and FDIs which accounted for 7.11 per cent (1.19 billion dollars) of total capital imported in 2018. By sector, Capital importation by shares, which is closely related to Equity investment (FDI and Portfolio Investment) dominated 2018 reaching 10,425.18 dollars of the total capital Importation in 2018. The UK emerged as the top source of capital investment in Nigeria the year under review with 6.01billion dollars investment. This accounted for 35.74 per cent of the total capital inflow in 2018. The second on the list of top 10 was the US, with capital investment of 3.57 billion dollars. This was followed by the South Africa with the capital investment of 1.15 billion dollars in the year under review. The data for the report was supplied by the Central Bank of Nigeria (CBN), verified by NBS.